It's well made and I think it blends in nicely in the cockpit area. I'm another one with an E-system - it came with the bike, I wouldn't have paid that much for a chain oiler, but it's very good. I want to put an oiler on the Scrambler though so I'm interested in all these things - the Turtoro is out because the Scrambler leans a ridiculous amount on the sidestand and the Turtoro needs to be near vertical both when the bike is upright and when it's on the stand. So do I get a V-system or pay a tenner more and get a Cobrra? Ah, decisions, decisions. I was going to get a Scottoiler Esystem for a forthcoming trip, but seriously considering getting the Nemo instead. 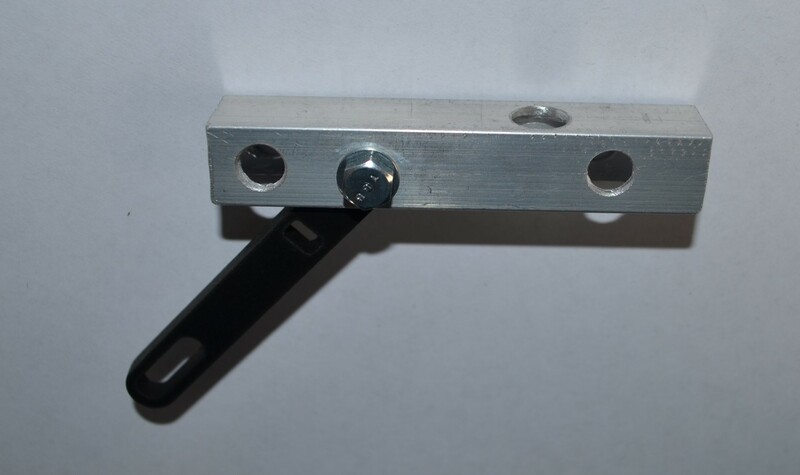 I don't want the reservoir on my handlebars (too crowded already), so thinking about mounting it on my PLR6401 pannier rack if I can find somewhere suitable. I'm just wondering how it would cope with all the crap flung up from below. What's the bottom of the reservoir like? Is the muck likely to affect the rotation during filling or lubing? Isn't death the wages of sin? I'm sure you are right, it's just an expression that got lodged in my mind sometime and I've never bothered to acquire the definition. I just liked the way it rhymed with 'in'. Thanks for the clarification Psychopasta. I fitted my scott oiler under the pillion seat and ran the tube forward to the right hand side of the battery. There is a small gap at the bottom of the front right hand corner of the rest of the plastic moulding that includes the battery box. If you push the tube into that corner you should find it will come out just forward and below the rear brake reservoir . The tube can then be routed with the rear brake pipe down to the swinging arm and into the swinging arm cut-out. Mine is mounted on the pannier frame (see earlier pics) so nowhere close to the spring. Here is a pic of the pipe run from the reservoir. 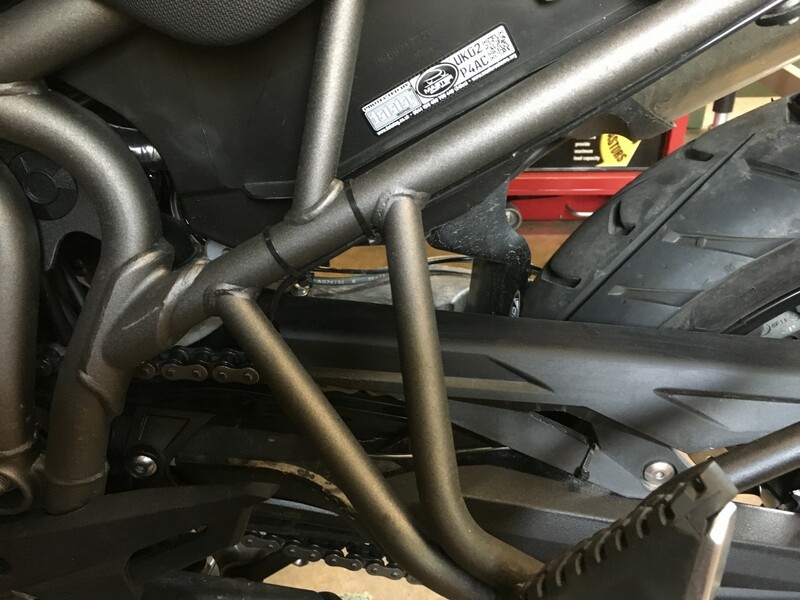 It passed through between the upper chain guard and the swing arm and is tie-wrapped to ensure it stays in place and no-where near the chain. Inspired by Bulldogfour's use of the lower chainguard mounting, here's my take on it. The tubing exits the cutout in the swingarm and drops into the hole on the top of the u-channel before being threaded through the dispensing arm. The u-channel is mounted using the same M6 bolts as the lower chainguard, but replaced with 40mm ones.